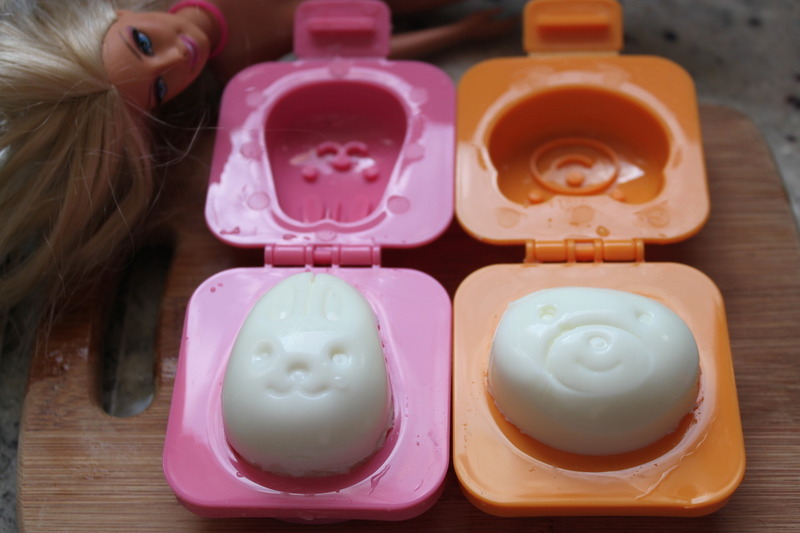 These fun little molds make eating eggs CUTE! I wish I could tell you where to buy them in Dubai, but I found these in Austria at a local supermarket. Perhaps the Japanese dollar store “Daiso” would carry something similar? They are so easy to use, just hard boil your egg as usual, and as soon as they are ready (still piping hot) peel the shells off, and plunk them in to the molds! Close them up, and stick them in the fridge for 10-15 minutes-ish!